Whenever an emergency alarm goes off, people are scared. They wake up in the middle of the night to the dreaded sound, fearing the worst. It means a major disaster has hit the city, and people are in danger. However, sometimes not everything is as it seems. ‘Luckily’ for disturbed citizens, Friday night’s siren blast did not indicate an impending catastrophe. 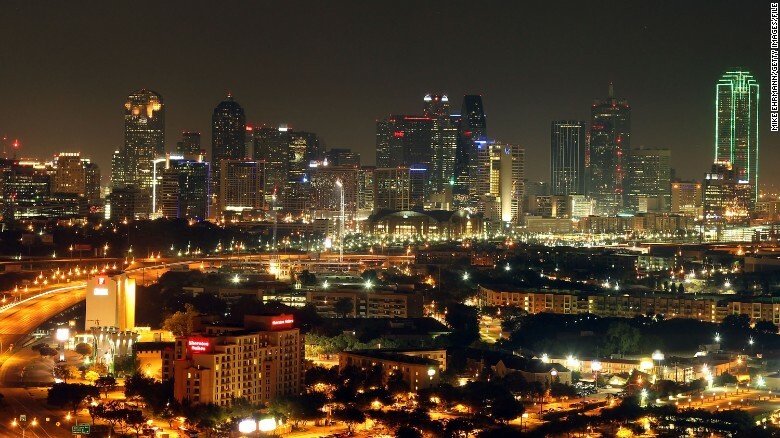 All 156 emergency alarms in Dallas went off in unison Friday night. People were scared, confused and irritated, as the ‘emergency’ continued for an hour. There was an increased number of 911 calls as well, although, mostly due to the confusion. The alarms were eventually disabled, but that did only solve part of the problem. What was behind the false alarm? Allegedly, someone hacked into the system and wrecked havoc intentionally. As to how, or what the purpose was is still in question. But one thing is for sure: God help the culprit when he (or she) gets found. “We have now pinpointed it to one area where we think they were able to get into our system and activate all the sirens, and put that into a mode where they sent signals for it to be activated over 60 times” Dallas Office of Emergency Management Director Rocky Vaz said. He also apologised for the inconvenience this caused. He assured people they will be notified about any real emergency in due course. There are also alternative communication channels for that, like social media. So, the notion of ‘cry wolf’ doesn’t apply here. The system should be up and running shortly (but hopefully the alarms won’t sound any time soon). “We are putting in safeguards to ensure this type of hack does not happen again,” Sana Sayed, Dallas city spokesman added. Fingers crossed! In the meantime, let’s ask the cards to see what’s behind this hacker’s attack. Six of Pentacles: Part of the message was supposed to be a reminder how precious life is. We need to appreciate what we have, while we have it. It shouldn’t need a disaster. Page of Swords: The hacker is a curious person (which probably isn’t so good in this case). He is truly passionate about his cause (whatever that may be). There is a creative energy surrounding him, and he feels like he could do anything. He also has a desire to prove that he is superior in his thinking to the rest of us. Four of Swords: It seems like he will ‘rest’ for a while now. He has achieved what he wanted. And although he will look into other ways to prove his worth, he won’t do it just yet. Might be difficult to catch him like that though!